To reduce congestion and accidents there is a need to separate traffic flows where roads intersect with other roads and rail tracks. Grade separation is also required to eliminate conflicting pedestrian flows and vehicle and rail traffic. All too frequently collisions occur at rail crossings and traffic intersections causing deaths and accidents which could be avoided. 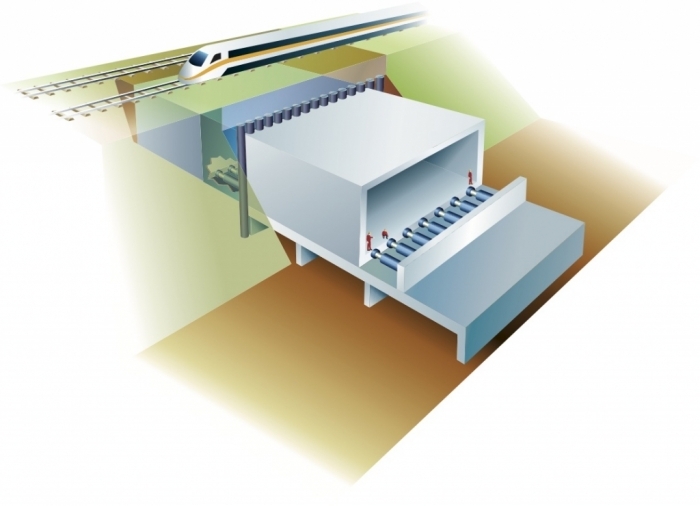 Separation can be most economically achieved by the installation of jacked structures for underpasses and subways. In addition our techniques offer the capability to create large underground spaces such as a metro station, underground parking or storage cavern. Culverts, wastewater, water and cable tunnels can all be installed underground without disruption of surface activities in circular or rectangular sections. Every situation and solution is unique. 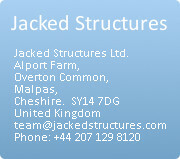 Jacked Structures provide an engineering approach to the problem not just a system. Integrating design and construction are the key to success. Even where the structure has to be installed with minimal cover it is possible to engineer solutions. Structures can be circular, rectangular, arches, or combinations and can range from rectangular and arch installations with single spans of 20m and greater. Still larger structures can be created using multiple spans. Installation lengths of even the largest structures can exceed 100m.Tubes of up to 5m in diameter can be installed in lengths of more than 1000m for utilities and underground passages.